FM5BH Contest Station - Amateur radio in Martinique, Photo album and links. A Sleep Strategy for DX Contesting - Sleeping tecniques during contest operations. This article originally appeared in the National Contest Journal. KA9FOX Contesting & DXing - Hundreds of links to information for the Contester and DXer. Yankee Clipper Contest Club - Special purpose amateur radio club devoted to the pursuit of operating and technical excellence. 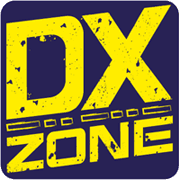 This site serves as a library of amateur radio contest and DX information.